US intelligence agencies have been actively trying to recruit senior Russian diplomats over the past several years, according to Foreign Minister Sergey Lavrov, who also said that US diplomats in Russia have engaged in espionage and took part in opposition rallies. “If we talk about recruitment techniques, we did not publicize the full statistics on that. 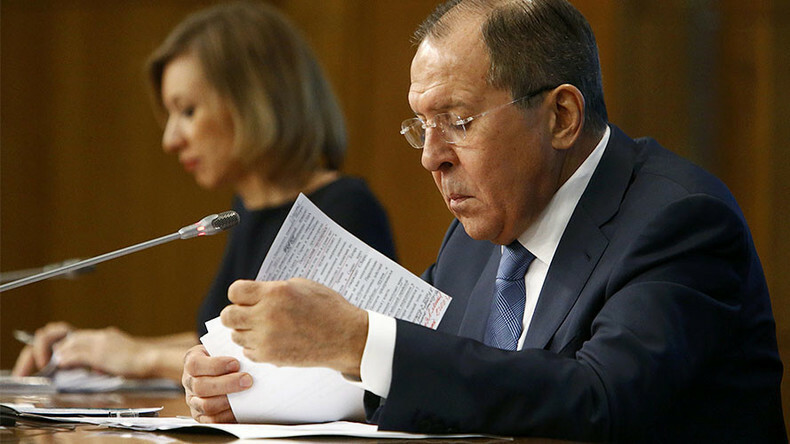 But most recently, in the past few years, especially during the second term of Obama's administration, that unfriendly activity towards our diplomats has been growing in scale,” Lavrov said at a news conference on Tuesday. According to the minister, US diplomats have also engaged in espionage in Russia and actively participated in the rallies staged by Russian opposition forces. “In addition to spying, US Embassy diplomats have repeatedly been seen taking part in the rallies of opposition, anti-government forces, unauthorized rallies, including times when they wore disguise. 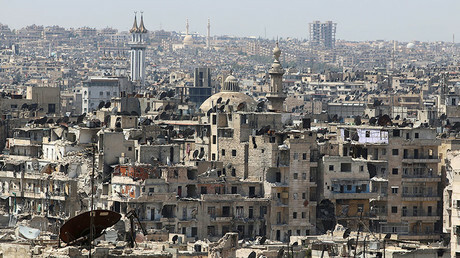 Do the math yourselves,” Lavrov stated. Lavrov dismissed allegations made by the Obama administration, which complained that the US Embassy in Russia was forced to work under allegedly intolerable conditions, with the US Ambassador “cut off” from all contacts, saying that evidence shows the situation was “absolutely the opposite” – that the diplomats’ movements were never restricted. “They [the US diplomats] go to Kaliningrad, Leningrad, Murmansk, Voronezh regions. They were seen repeatedly in Novorossiysk, in the Chechen Republic, along the border with Donbas [Eastern Ukraine], traveled literally up and down the country,” he said. Lavrov also said that the authorities have been able to thwart US diplomats trying to spy on Russia on a number of occasions. “We’ve curbed intelligence activities of US officials who were working under diplomatic cover. There was the famous episode when a disguised diplomat wearing a wig and false eyebrows penetrated the building of the US embassy, refusing to present identification to the security officer and hitting the officer,” Lavrov noted, while mentioning several other episodes involving US diplomats wearing disguises, including some when men dressed as women. “All these have been traced,” the minister stressed. 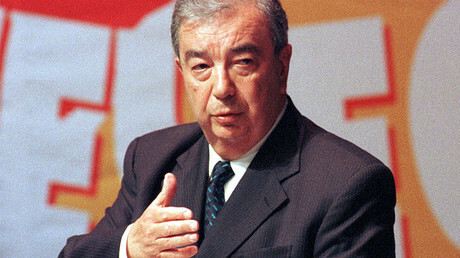 To illustrate the damage that can be caused by the spy-wars being waged by the US intelligence community, Russian Foreign Ministry spokeswoman Maria Zakharova revealed a scandal that took place in 2015 which may have been among the causes of death of legendary Russian statesman Evgeny Primakov. In an interview with Rossiya 1 TV on Sunday, Zakharova described an alleged attempt by US intelligence services to recruit a Russian diplomat that resulted in a delay in the delivery of a rare American medicine needed for Primakov’s treatment. According to Zakharova, as a favor to its former chief, the Russian Foreign Ministry organized the purchase of the drug through a practicing US doctor. An embassy employee was supposed to pick up the package and deliver it to Moscow through diplomatic channels. However, he was stopped by people whom Zakharova described as “agents of American security services.” The diplomat was detained, and then eventually let go, but the drug was confiscated. When the unnamed intelligence agency didn’t even repay the cost of the drug, which was about $10,000, the Foreign Ministry decided to complain to US authorities. Zakharova said that, although Primakov lived for some time following the incident, precious “time was lost” due to the gaffe. The spokeswoman said the story shows the disarray in the Obama administration, while noting that she believes the American security services have been deliberately trying to undermine all diplomatic ties between the US and Russia. According to Kremlin spokesman Dmitry Peskov, the unfriendly rhetoric of the outgoing US authorities is to blame for Tuesday’s disclosure of US pressure techniques on Russian diplomats. “This information has not yet been made public ... It is not customary to do so, but if there is such an aggressive, unfriendly rhetoric from the outgoing US administration, of course, it would not be superfluous to remind the public that such incidents have occurred repeatedly – attempts to pressure our diplomats and attempts to recruit them for different reasons and in different situations,” Peskov told the press. He added that “this indicates that Russian missions abroad really are under constant pressure, that there is constant work to gather intelligence [against us], and often conducted very aggressively. “This shows quite a hostile line towards Russia. We regret that Washington resorted to such methods, and we hope that in our bilateral relations in the future we will still be able to establish a higher level of mutual trust and mutual respect,” Peskov stated.